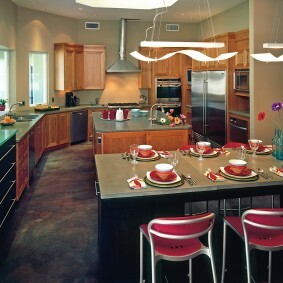 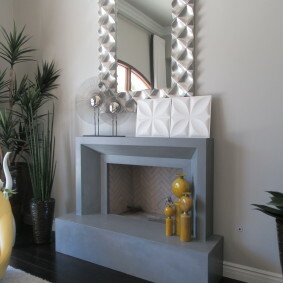 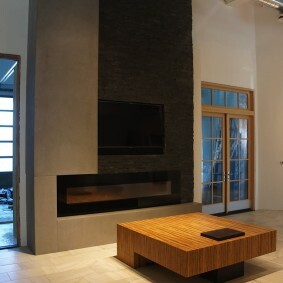 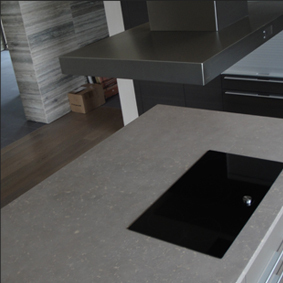 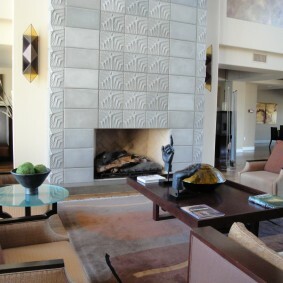 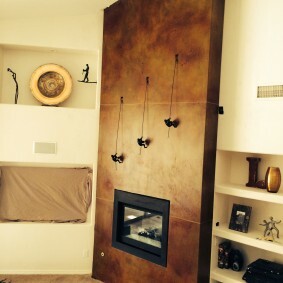 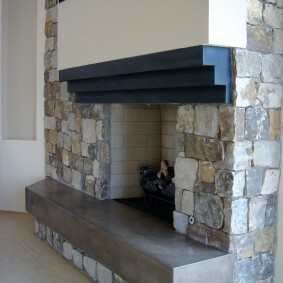 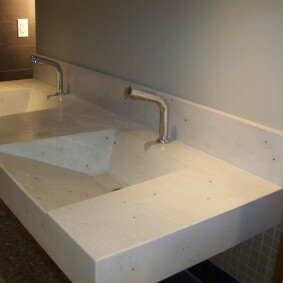 concrete resulting in an exceptional concrete countertops, sinks, benches, fireplaces, furniture and much more. 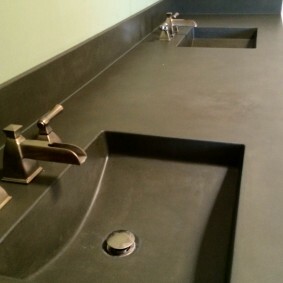 Form, Function and Fashion— come together to make the best smooth surface concrete available on the market. 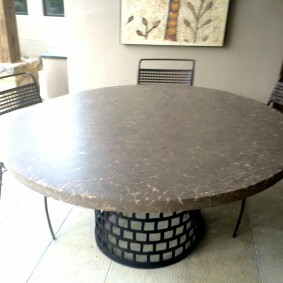 Whether you need an interior or exterior large table, small table, or unique table shape or size, concrete tables are the answer. 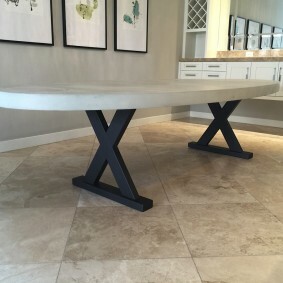 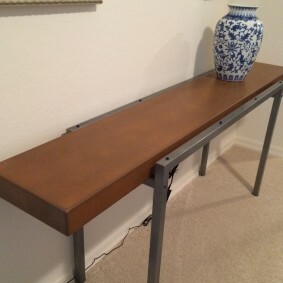 Fabricated concrete tables can be uniquely customized to be any color, finish, or style that will integrate seamlessly with your home decor aesthetic. 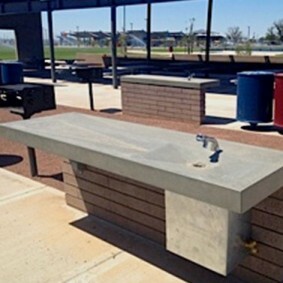 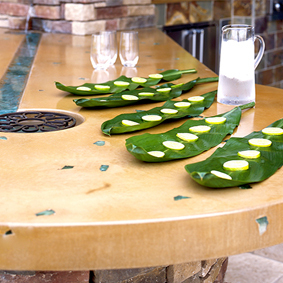 Durable and attractive concrete tables are UV protected and sealed. 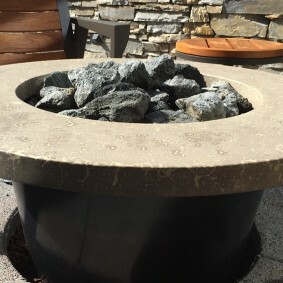 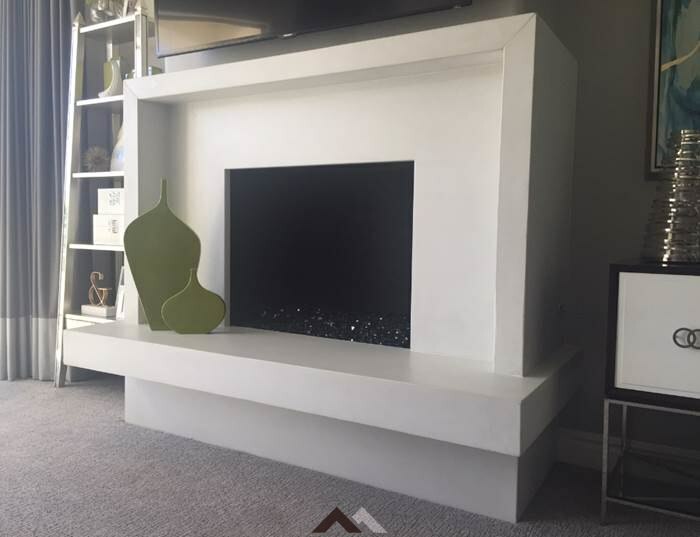 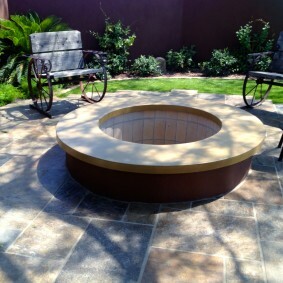 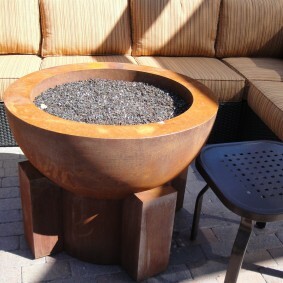 Shown here is a coffee table/fire pit designed to our customer's specifications. 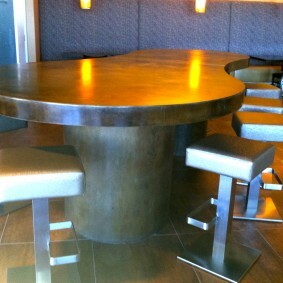 We offer standard and reasonably priced tables as well. 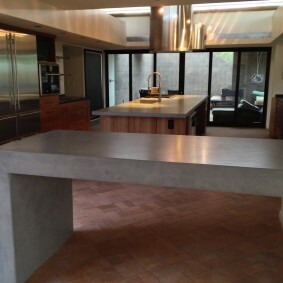 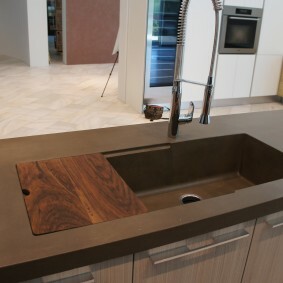 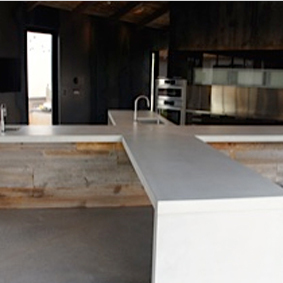 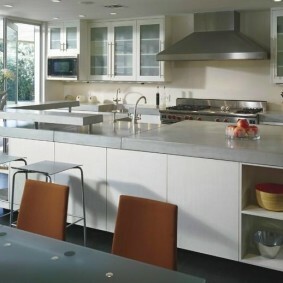 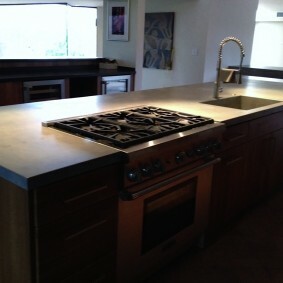 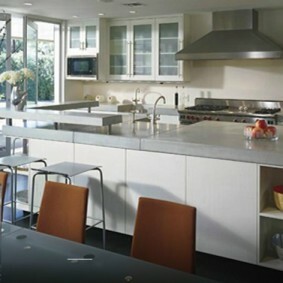 Custom fabricated concrete kitchen countertops are beautiful, durable, and easy to maintain. 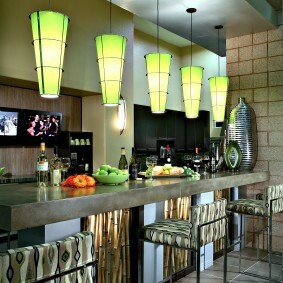 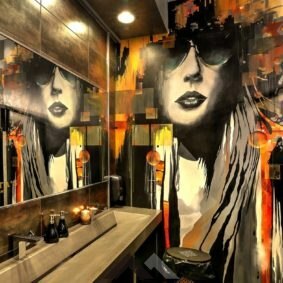 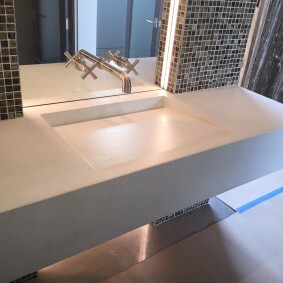 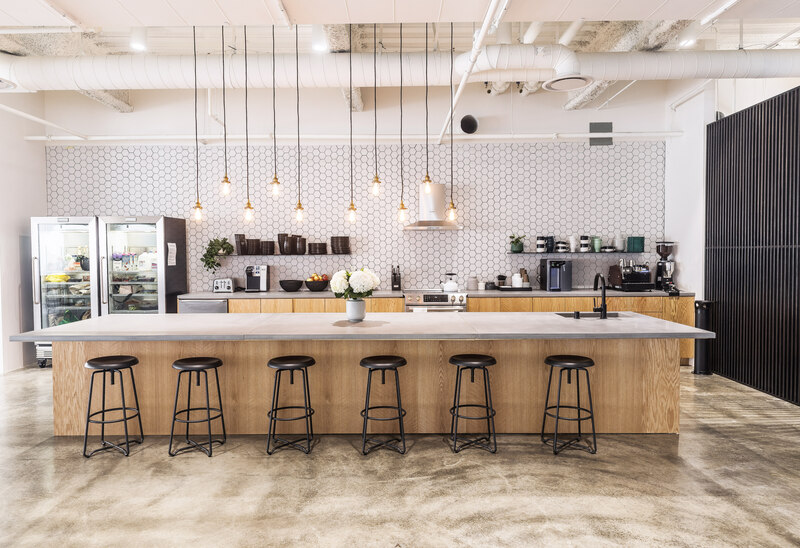 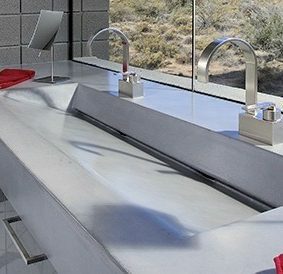 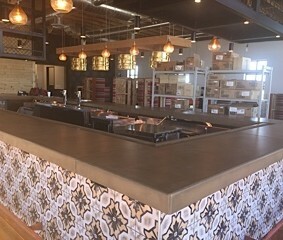 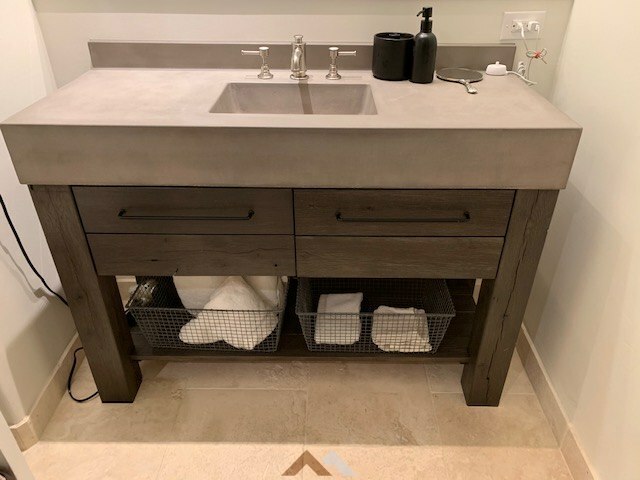 Through refined skills and processes, we provide our clients with unique and sophisticated concrete countertop designs with enduring style for kitchen or bar areas. 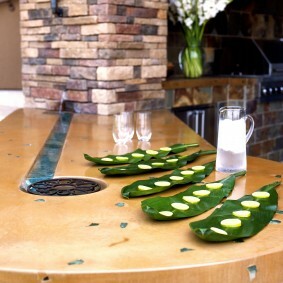 Our countertops perform equally indoors or outdoors. 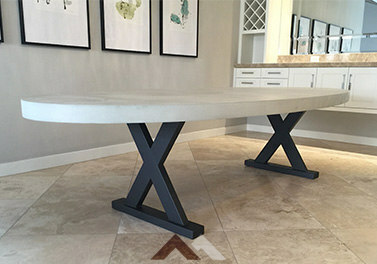 Concrete coffee tables, concrete side tables and benches make beautiful, unique, visually interesting, and incredibly durable additions to any home decor. 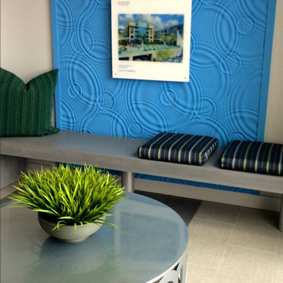 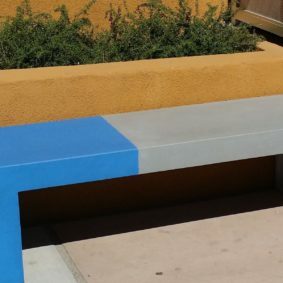 Concrete benches and furniture can be custom fabricated to any dimensions, style, and finish you desire. 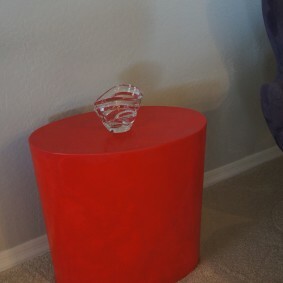 Ask us about our reasonably priced standard furnishings. 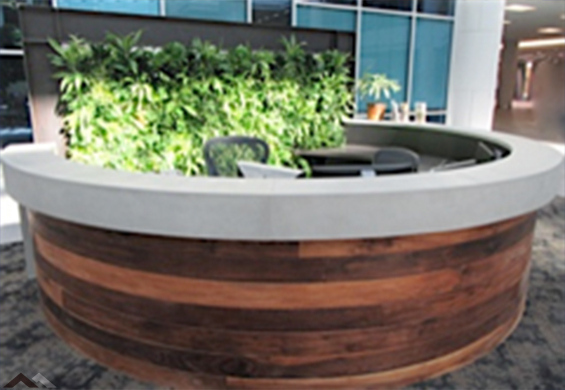 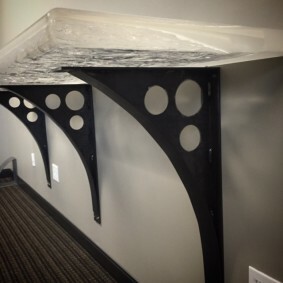 Concrete Furniture provides unique and interesting design options for your office and home. 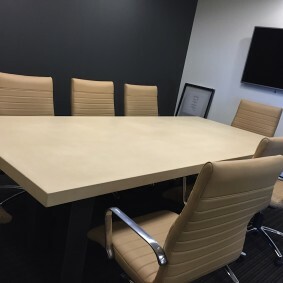 Custom fabricated concrete office furniture includes concrete desks, concrete conference tables, side tables, concrete coffee tables, concrete accent tables, concrete benches, concrete countertops and more! 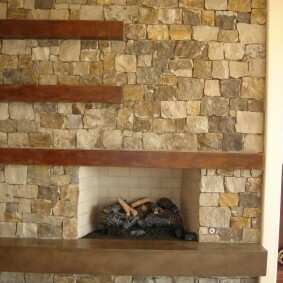 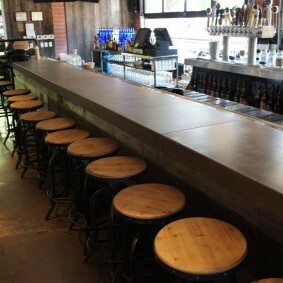 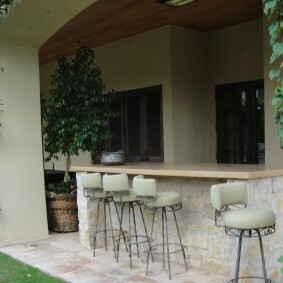 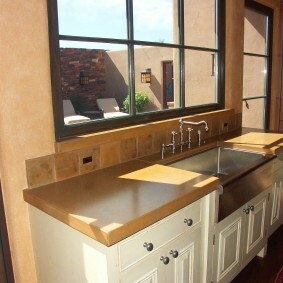 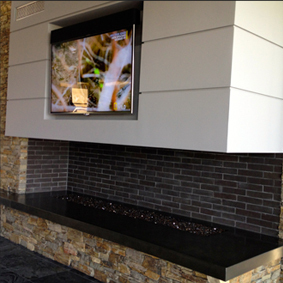 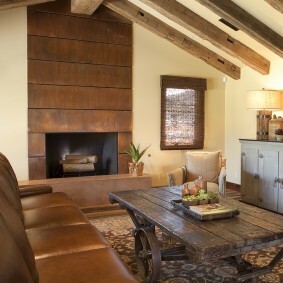 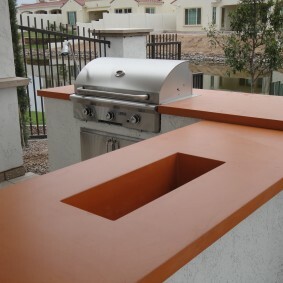 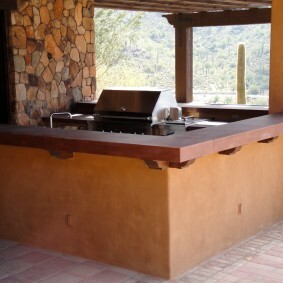 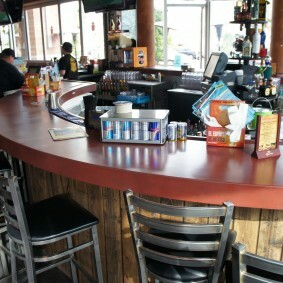 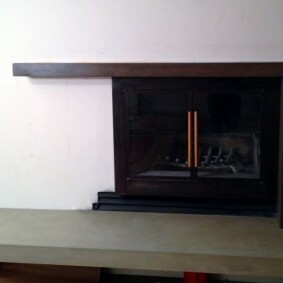 Our Concrete Countertops, Sinks, Bars, BBQ's, Fireplaces and Furniture is Smooth, and Durable. 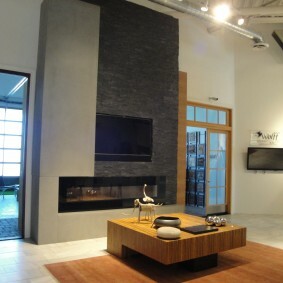 It is Stylish and Functional - Paradise Concrete Design Studio makes Concrete that is both Beautiful and Usealbe. 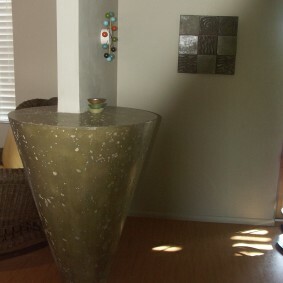 Understated and Organic it naturally fits into any decor. 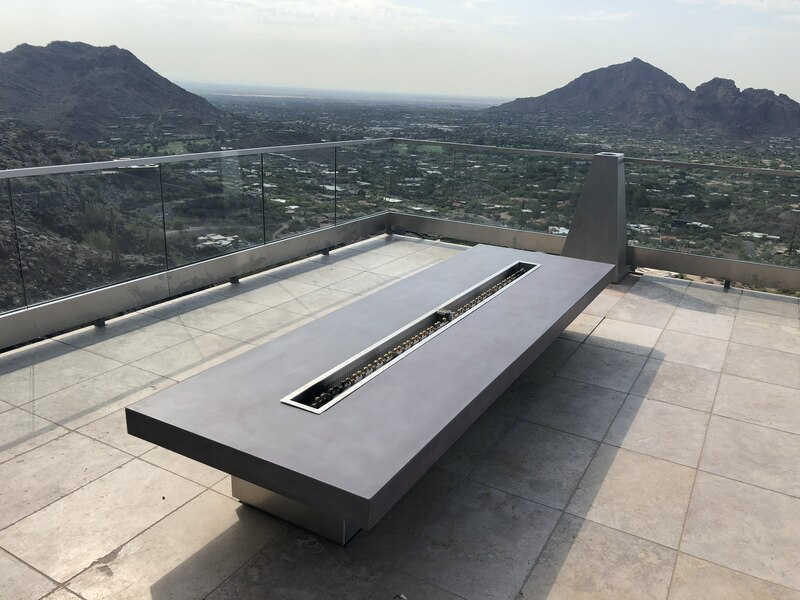 So whether you love Modern, Mid-Century Modern, Contemporay or Traditional designs - Our Concrete will compliment your Project. 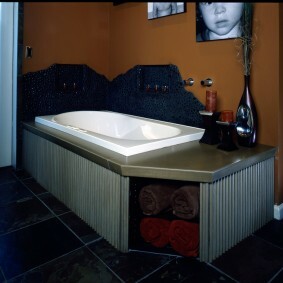 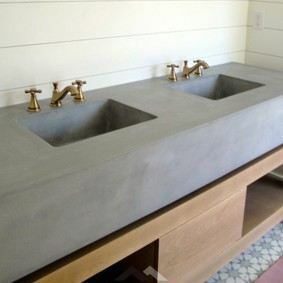 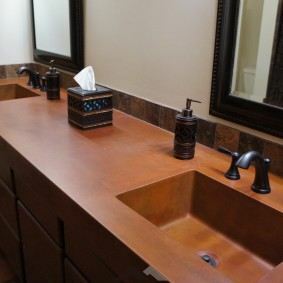 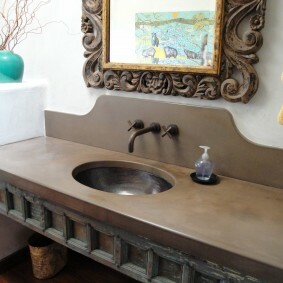 Our Concrete Sinks are fabulous and some are one-of-a-kind. 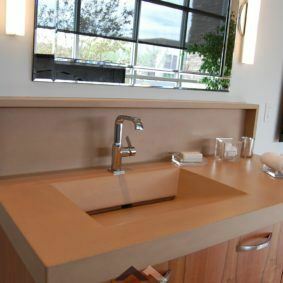 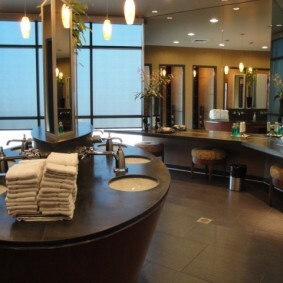 We can customize colors, designs and create the perfect Sink for your home. 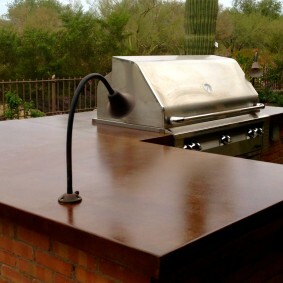 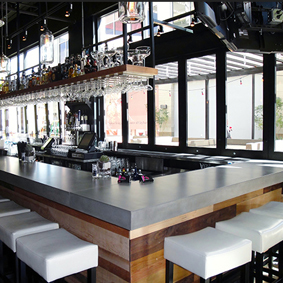 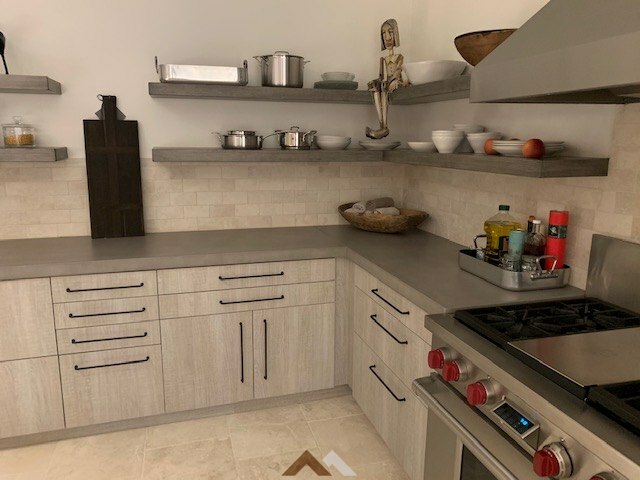 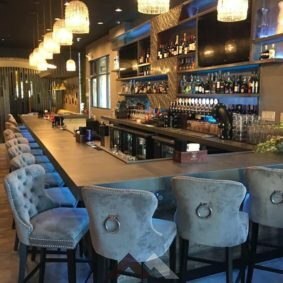 See our Countertops at IHOP, Sandbar, Lola's, Central Grille, Ocean Club in CA, at the Galleria, Four Seasons, Scottsdale National GC, Papgo GC, and Peoria, Glendale, Mesa and Phoenix City Parks. 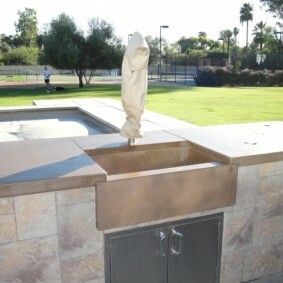 Coming soon Gilbert Park. 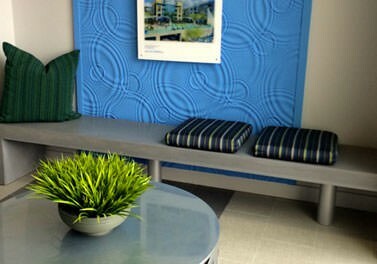 Give us a call for a free consoltation. The Galleria Reception Desk in Old Scottsdale — Crema Color.